Clarett USB lays down the challenge to interfaces twice the price. 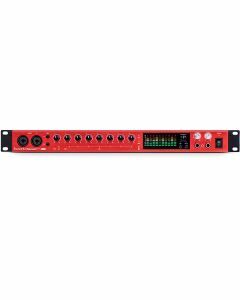 Clarett can now be experienced with any Mac® or PC supporting USB 2.0 and above. Decades of analogue circuit design experience, applied around 24-bit/192kHz A-D and D-A conversion, delivers a superior signal path – beating interfaces costing hundreds more.